Generating speed, creating time and space as well as creating mismatches are all crucial when looking to produce offence. More and more, teams are looking to attack the ice behind the defenders, put them under pressure and create breakdowns. These require honing cognitive skills such as split second pattern recognition, and anticipation of the play. With more resources available than ever before to players they can use lots of information to create a gameplan heading into a matchup. That said, using creativity and teammates to take advantage of scoring opportunities is vital for teams looking to put pucks in the net. MTL41 picks up the puck with speed in the neutral zone and establishes himself in the middle of the ice between the dots. His head and eyes are up reading the speed and gap of OTT72 and OTT2 as well as reading support. MTL41 enters the offensive zone in possession. He is a threat to drive through the middle and this forces both OTT72 and OTT2 to retreat and brings them both to the middle of the ice. As they close the gap, both OTT72 and OTT2 use their stick to take away time and space. MTL41 uses a deceptive crossover to the middle of the ice and then passes in opposite direction between the stick and feet of OTT72 to MTL62 who has joined the rush. MTL62 receives the puck with speed and drives wide into the zone attacking open space. MTL62 has puck on his backhand, which allows him to protect the puck and not expose it to OTT72. This pulls OTT72 to him as he looks to close him down. MTL41 continues to drive to the net through the middle of the ice pulling OTT2 with him. OTT89 is also applying back pressure. At this point, OTT has good numbers back in defense and have effectively contained the rush outside the dots. OTT72 moves to close down MTL62 along the boards but OTT89 is upright and puck-watching. MTL41, after taking OTT2 to the middle, gets inside positioning and drives towards open space looking for the puck. MTL24 quietly enters the rush without OTT89 being aware. MTL24 gets his hands off his body to ensure he can take the pass on his forehand and without any stickhandle shoots on goal. One stickhandle between the three MTL attackers. First touches for MTL41 and MTL24. Here are two other examples of how the middle lane drive pushes back the defenders and creates breakdowns. Here the player driving through the middle opens up and remains above the goal line providing a support option – because the player stays above the goal line, he remains a scoring threat and is able to walk to net-front. In this last clip, PIT87 kicks the puck wide and then puts the puck down low putting the defending team under pressure. He reloads from behind the net, hunting open ice and when the puck is retrieved, he is set up to receive the ‘Royal Road’ pass uncovered. 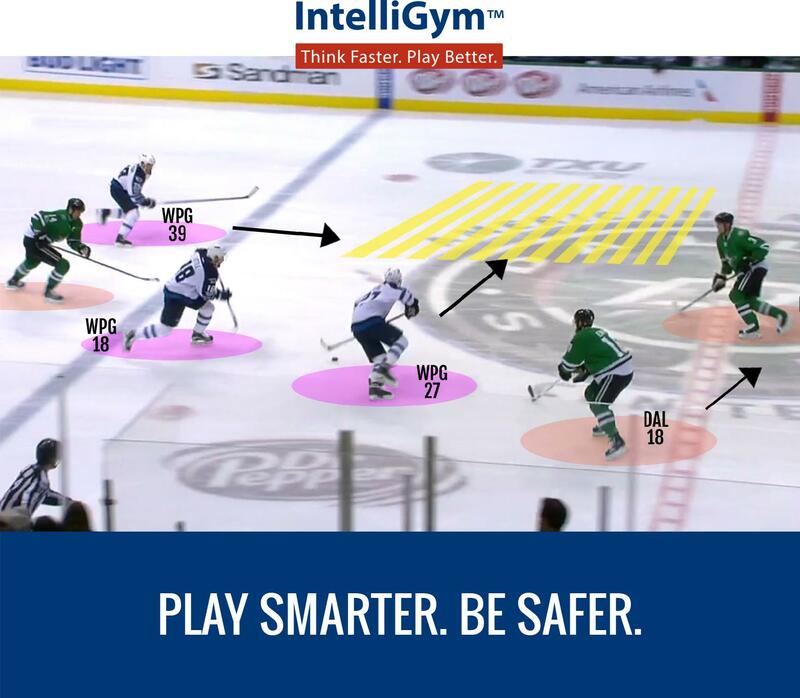 All three clips illustrate that attacking with speed and attacking the ice behind the defenders creates breakdowns and scoring opportunities and more offence.